As you may know, the last couple years have been pretty Geassy. After a long absence, it was announced in 2016 the popular series would be getting a series of compilation films, followed by a brand-new work. Compilation films are fun and all, but what real Geass fans are looking forward to is that new work, which was finally given an official title March 18. 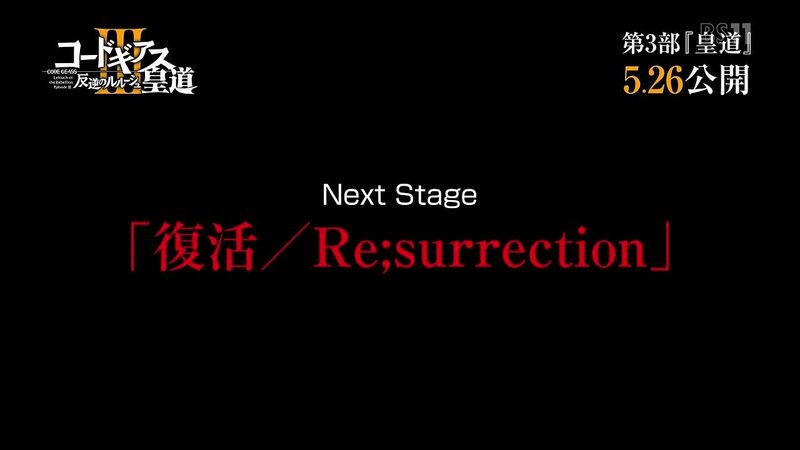 The anime will be called Fukkatsu/Re;surrection. That’s the word from a video promoting the final compilation film, Glorification, which is due out May 26. When will Re;surrection be released, and in what form? We’re betting it’s a movie, but there’s still no official word either way. And, most importantly: what’s the meaning of that semi-colon?